The global remittance market is worth $600 billion a year. Almost half of this amount (about $250 billion a year) is hard cash, but commissions can run up to 20%. During Bitcoin Wednesday on 7 September, 2016, we’ll hear from Kumar Gaurav, CEO of the P2P marketplace for cash transfer Cashaa. His team is just completing a 3-month testing phase with a user base of more than 7000 traders who have already exchanged around $1 Million. Cashaa matches money transfer requests which can be made by anybody anywhere in the world with live deals posted by cryptocurrency traders. Cashaa is focussed initially on Bitcoin which has the most traders, but eventually aims to be technology neutral by providing whatever digital currency the market prefers. Cashaa’s service consists simply of connecting individuals who want to send and receive international money transfers with local cryptocurrency traders who take the physical cash from the sender in one country and give it to the receiver in another. Kumar started his career as an engineer at Ferrari through Indian IT services company Wipro and later served as an IT manager for the Italian shoemaking machinery company MeB. He is a founding partner of Auxesis, an Indian IT company specialising in fintech and Blockchain development. 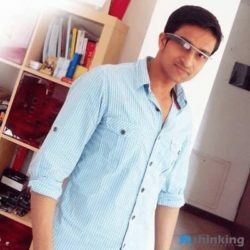 He studied computer science at Amity University in Delhi and received a Master’s in Engineering Management from Politecnico di Milano.